Our work for the internationally renowned Leeds theatre has seen their site grow to offer so much more, with a 245% increase in site users in two years. The West Yorkshire Playhouse is Leeds’ biggest theatre and a highlight of its cultural landscape. Known worldwide for its exciting and ground-breaking productions, with established names and emerging talents walking the stage since it opened in 1990, the £13 million theatre is one of the busiest outside of London. 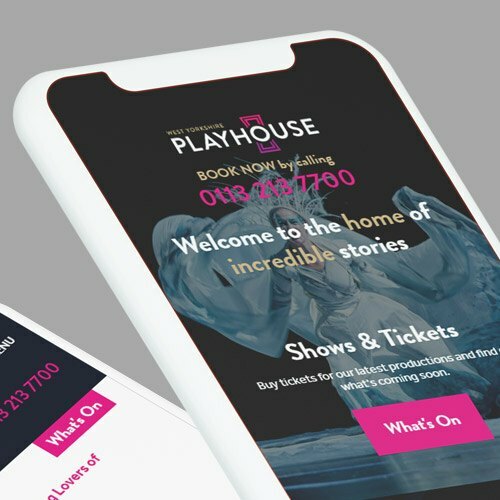 Our work on this project in 2015 helped the theatre’s digital presence grow a great deal – and led to us redesigning and redeveloping the site as part of the Playhouse’s £15m redevelopment in 2018. You can read more about that here. After a brand refresh, the Playhouse (WYP for short) needed a new website to match. They also wanted to switch to a new booking system, so this needed to be incorporated into the new site, with a seamless changeover from the old one. The theatre also does much more than sell tickets for plays – community outreach, education and artistic development are key parts of what it does, and the WYP team wanted all of this to be highly visible on the website. Finding the balance for users would be tricky, and we did a great deal of research, considering different ways in which we could create a cohesive user journey that provided access to everything the theatre does, without losing sight of the fact that the majority of users will be on the site to book tickets. The site’s homepage directed users to three main sections – a “what’s on” calendar for booking tickets, as well as two sections on WYP’s behind-the-scenes activities. These sections were easy to navigate, with a simple design that featured expanding accordion sections that make large amounts of copy easy to digest, and plenty of bold imagery of the theatre’s work. Wherever users went on the site, they would never be far from a call to action directing them towards areas of the site where they can book tickets. Users would never find themselves in a dead end, as there was always the option to either learn more or break off to make a booking. The site was built in WordPress, making it easy for the WYP team to add new shows, pages and staff member profiles. The Spektrix booking system integration was seamless, thanks to the efforts of our dev team, with no downtime for the theatre or its audiences. 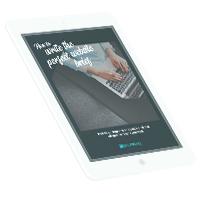 The new design saw huge improvements to the site’s performance, with a 591% increase in pageviews from a 245% increase in site users. We continued to support the WYP team with adding content and maintaining the site and Spektrix ticketing system up until it was time for a new site to coincide with the Theatre’s rebrand in 2018. 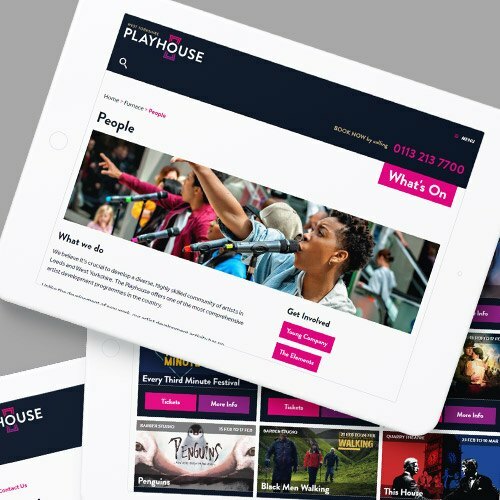 Oh, yes, and we built that site too – take a look at our case study for Leeds Playhouse. Splitpixel delivered on time and on budget; the most straightforward project with which I have been involved in over 20 years of working in theatre. We are very pleased with our relationship with Splitpixel. They remained generous and supportive in the time and energy they dedicated to the development process.